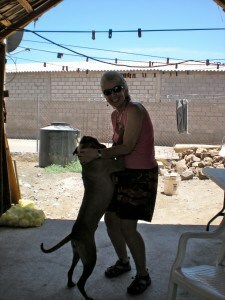 Home » What do you do all day in Loreto? What do you do all day in Loreto? The most common question that we Loreto homeowners are asked is, “What do you do all day when you are in Loreto?” This is not an easy question to answer. When we come down here we enter a schedule-free zone. Even when appointments are made, the starting time is always approximate (approximately some time in the future). This last week was very full for us, even though we experienced it as a lazy (and I mean that in the highest, most honorable sense) free-flowing, relaxed time. In fact if you ask me what we did this past week I might struggle to remember…hmmm I know our days were packed but what did we do? Sunday morning to us always means time to go to the farmers market. This is a beloved tradition. 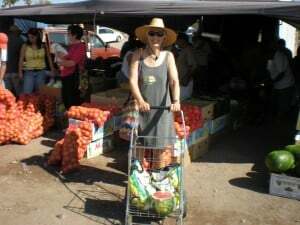 I went to the market myself this past Sunday for a quick trip to pick up a few things. A quick trip translates to just a few pauses for social encounters. Our friend Rich took this photo of me. On Mother’s Day we went to brunch at Eve and Steve’s home. Steve had already returned to the snows of Truckee, so this was a ladies brunch. Everyone brought delicious food. We sat on the deck and looked out at the beautiful views of the mountains, with a construction zone of homes in various stages of completion in the foreground and felt very blessed. It’s also wonderful to take time to learn about everyone’s children. 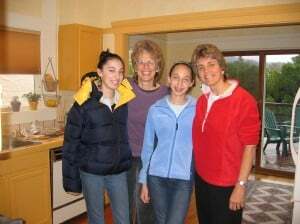 And I want to take this opportunity to shout out to our special, honorary “daughters” Sarah and Anna. We’ve been blessed to share their lives as they have grown into bright, interesting fun adults. 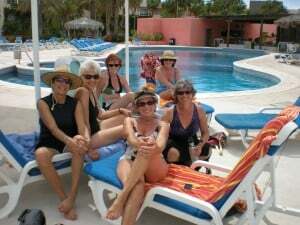 In the afternoon, we went down to the beach and ended up at the pool hanging out with Ariel, Eve and our friend Linda and her sister, Erin. It is unusual, as adults, to have so much unpressured time for conversation, deep and silly. It’s one of our favorite parts of our lifestyle here. 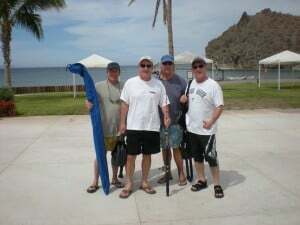 We also got to cheer Denny, Brian, Mike and Chris on as they headed off to kayak and fish. They came back later saying something about that huge one that got away. 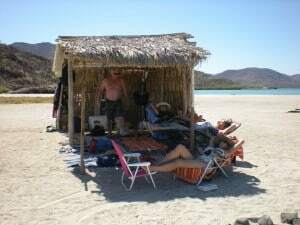 We were told that our electricity would be off for up to 8 hours on Thursday, so we headed north to a beach at Bahia Concepcion. This trip is worth a blog of its own. The beach was beautiful. 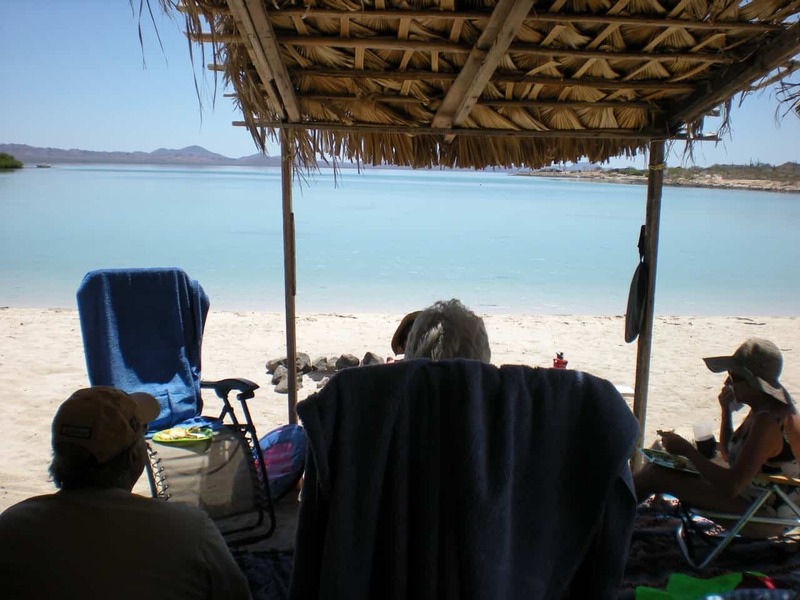 We have driven by these beaches on the way to and from Loreto but this was the first time we drove down to the beach. Ariel drove Sharon, Eve and me. Peter, in full gear, rode his motorcycle. We set up our chairs and food in one of the palapas on the beach. The water was like glass. We ate lunch soon after we got there. Everything was made even more delicious by the beautiful setting. After lunch we pumped up our rafts and headed for the water. 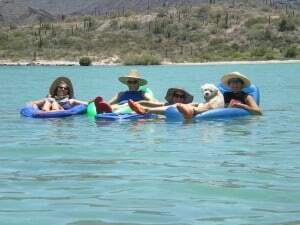 Even Charlie the dog joined in on the fun and rode on Sharon’s lap as we glided over the mounds of white sand, just a foot or two under the water, and sea flora and past the other palapas on the beach. 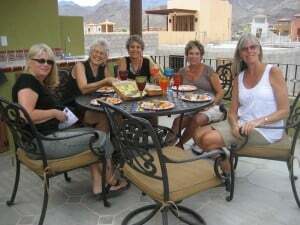 Then we stretched out on our chairs and let the wonder of being in a beautiful part of Baja California Sur with dear friends soak through our pores into our hearts. As Sharon often says “It doesn’t get any better then this”. I am going to end with photos from the trip. But first some thoughts and a post script. We have wonderful adventures with our friends in Loreto. And these adventures enrich our time here. But there is another element that is harder to describe. It is the opportunity to stop the activity of “city” life for extended periods of time. We have time to be with ourselves in our home, in nature, to think and dream about our lives, our priorities. To notice if we need to course correct the path we’re on. To enjoy the simplest things. I am sitting at my desk in the alcove we made in the downstairs bedroom. The ceiling fan is on. A small fan is clipped to the L part of the L-shaped desk and is sending a gentle breeze my way. I just padded barefoot to the kitchen, heated up some leftover spaghetti that we had at our friends the Kinsler’s house (little known secret-Bill makes a killer guacamole and spaghetti sauce). Then I padded barefoot, through our courtyard, back to my desk with the spaghetti and a coke in hand. 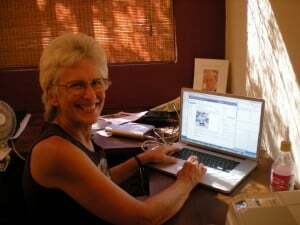 I am on my beloved MacBookPro (how can a computer be beloved?…you wouldn’t ask that question if you had a Mac or knew someone who did). And it all feels so good. Many of us are at an age where it’s possible to think that there’s nothing new left for us to do or think. That life is more about enjoying what we have created this far. But every Loreto Bay homeowner that I’ve met has a sense of excitement about them..even with all that we’ve gone through here. We have chosen a path that is open to new discoveries every day. It’s what makes our lives juicy and rich. 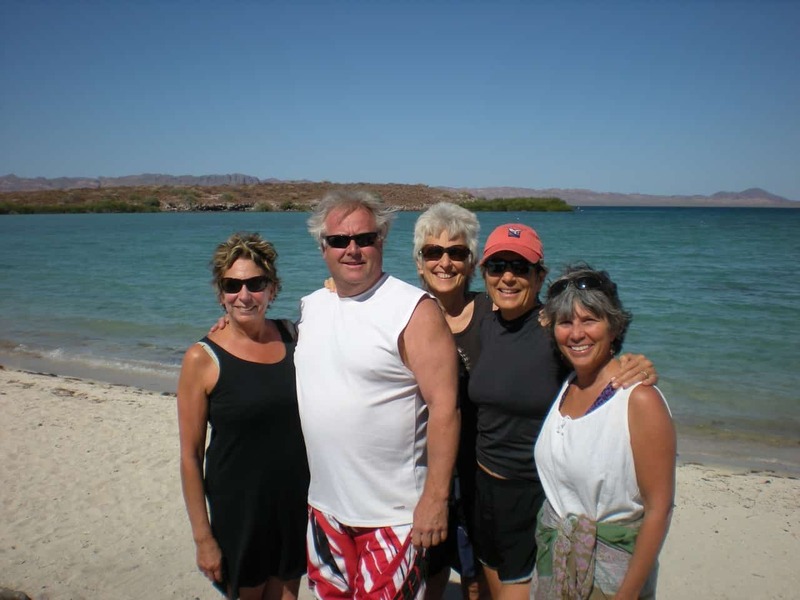 LORETO LIVE BLOG: Follow the Baja adventure!